27460 West Lugonia Avenue, Redlands, Ca. 20% of all proceeds will go to ADK Group, a charitable teacher’s union, for student programs. Rating: A- “Georgia Griffin was raised in Piney, Arkansas by her con man father. He has trained her in all of his skills but she is determined to follow a law-abiding path to life. So after taking a paralegal course, she drives to Silicon Valley and interviews for a number of jobs, sleeping at night in her car to preserve her meager resources. She is nothing like the other candidates she is up against, but by some miracle she manages to get hired to work in the legal department of Lumina Software. From the outset Georgia is determined to make a difference and it soon becomes obvious to her that means using her “skills” to get rid of some of the employees who are keeping Lumina from being a great company. Thus begins a quiet campaign of subtle manipulation worthy of Horace Rumpole himself. Some may wonder if this is a crime novel with some justification. It is more a legal thriller and there are some deaths along the way, but it doesn’t fit the mold of your normal mystery. Don’t let that deter you or you’ll miss a lot of fun. I particularly enjoyed the insights into corporate life and work within an in-house legal department. It made me recall my few years in a similar situation (in-house counsel) and the wrangling between our department and the marketing department or the egocentric corporate management. We wanted to do everything within the bounds of legality. They wanted to do what they wanted to do and then have us fix the problem or find a legal way to do it. Some things never change. Georgia is a gem of a main character—an employee not afraid to use her “cons” to give the incompetent and malevolent Lumina employees their just desserts. 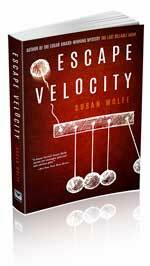 The book is a bit too long and there are some passages when Susan Wolfe gets into the legal “weeds.” But Wolfe’s legal expertise, good sense of humor and writing chops make ESCAPE VELOCITY a real winner. When does the Con become the Artist? Georgia Griffin has just arrived in Silicon Valley from Piney, Arkansas on very bald tires, having firmly rejected her beloved father’s life as a con artist. Her father is in jail and a certain minister is hugging her mother for Jesus while eyeing Georgia’s little sister, Katie-Ann. Georgia desperately needs to keep her new job as paralegal for Lumina Software so she can provide a California haven for her sister before it’s too late. While she’s still living in her car, Georgia realizes that incompetence and self-dealing have a death grip on her new company. She decides to adapt her extensive con artist training—just once—to clean up the company. But success is seductive. Soon Georgia is an avid paralegal by day and a masterful con artist by night, using increasingly bold gambits designed to salvage Lumina Software. Then she steps into the shadow of a real crime and must decide: Will she risk her job, the roof over her sister’s head, and perhaps her very soul? Susan Wolfe is a lawyer with a B.A. from the University of Chicago and a law degree from Stanford University. 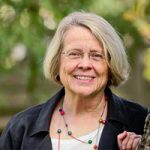 After four years of practicing law full time, she bailed out and wrote the best-selling novel, The Last Billable Hour, which won the Edgar Award for Best First Novel. 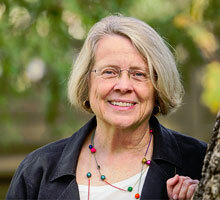 She returned to law for another sixteen years, first as a criminal defense attorney and then as an in-house lawyer for Silicon Valley high-tech companies. Born and raised in San Bernardino, California, she now lives in Palo Alto, California, with her husband, Ralph DeVoe. Her new novel, Escape Velocity, will be published in October of 2016.